The 18th annual Asia Superyacht Rendezvous Cup (ASR Cup) promises fierce racing and exclusive relaxed social gatherings in its invitation to superyacht owners, captains & crew to attend the January 18-20, 2019 event, returning for the third year to the beautiful SALA Resort & Spa Phuket on pristine Mai Khao Bay. The ASR Cup event is private and holds the title of being the longest running and the only regatta of its type in Asia, dedicated solely to invited superyacht owners and captains and crews. 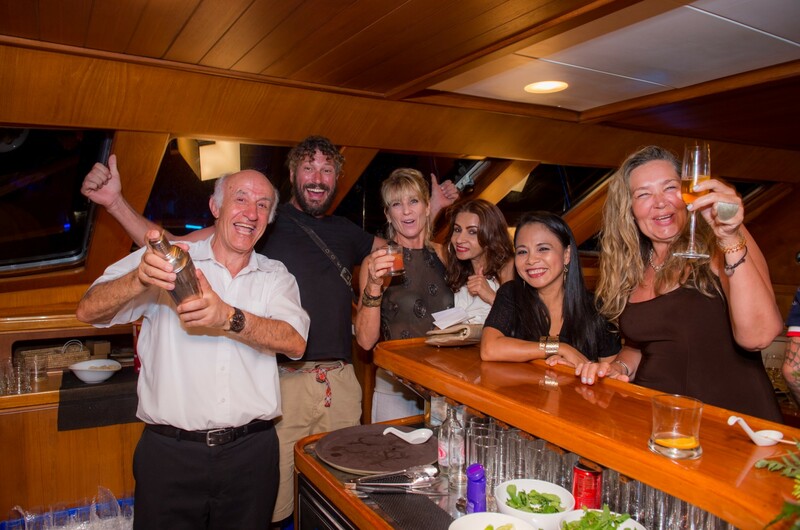 Bringing together year after year an extraordinary assemblage of vessels and personages, here is where superyachts meet, and owners and captains informally network and introduced to others. Kicking off with an opening day cocktail party aboard one of the stunning attending vessels, the following day is the start of the first of two days of the fierce but friendly ocean sailing race for the 3rd annual “Winner’s Cup”. Both race days will see impressive luxury motor yachts marking and following the course set forth on beautiful Mai Khao Bay, along with invited pleasure craft. Following Day One of racing SALA Resort Phuket signals their commitment to the sporting event and its organizers and participants with a culinary highlight prepared by their international chefs from all three SALA Resorts and Spas. This exclusive ‘Owners Dinner’ is an excellent addition to the ASR Cup as it will offer invited guests a perfect venue to network and exchange news of what is happening in the yachting world. Meanwhile participating superyacht crews will be enjoying a festive party under the tropical skies at the SALA Resort as they break into groups for the legendary ‘Challenge’ model boat races. Crew groups are given a mysterious bag of various plastic, sticks and fabric bits and pieces to use in creating a model sailing vessel capable of winning the wild and fun gutter boat race! Sparking some major jousting for ‘bragging rights’ from competing superyacht teams, each group hunkers down to design, plan and build their small vessel and select a team member to participate in ‘The Challenge’. Following the ‘Owners Dinner’ guests will join ‘The Challenge’ to cheer on their favourites as the small sailboats race down the troughs of water. The small vessels completed, match racing takes place on two water-filled channels with two teams competing in each race and the winner going on to the next round amidst wild applause. Teams can only power their vessels with their breath and with one hand confined, each participant will move their boats down and back a course set along a gutter, ending with the fastest vessel declared the winner. The next morning Day 2 racing will set forth as the race director’s horn blast on a new course around the stunning Mai Khao Bay. For two years the luxury sailing yacht Aphrodite has taken home the coveted ‘ASR Winner’s Cup’, will she be 3rd time lucky or will the trophy be captured by a new competing sailing superyacht in 2019? Going on two decades in Phuket, the ASR Cup is a superyacht drawing card for Asia, one that is kept strictly non-commercial, inviting both sail and motor vessels 70’ and longer to attend, an event that continues to be on the radar of superyacht owners and captains around the globe. Sail and motor yachts (70’ and longer) are encouraged to sign on early as only a limited number of vessels can be accommodated. Asia Pacific Superyachts has successfully organized this annual event now going into its 18th year and sees no signs of losing wind.